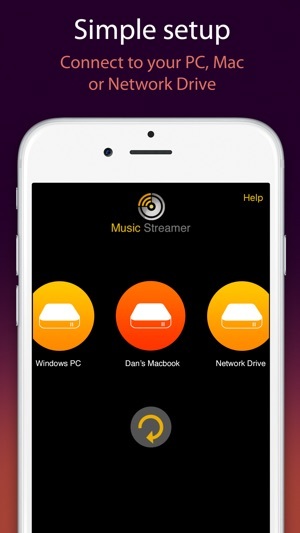 MusicStreamer was just what the doctor ordered. Although I use a PC, iTunes is designed for iOS systems. With MusicStreamer, one can just about disregard iTunes altogether. I can play all of my music through my iPhone or my iPad without iTunes. Such a relief!! I can really only think of one thing for improvement. That would be the inclusion of an equalizer. The product support was great when I needed it. Those guys were right there providing the help I needed. Oh yeah; if your concerned about the cost, just toss that notion out. You really can’t find anything better for streaming your music at home or work (as the case may be). If I could, I’d only give 4 1/2 stars for the lack of an equalizer. So 5 will have to do. 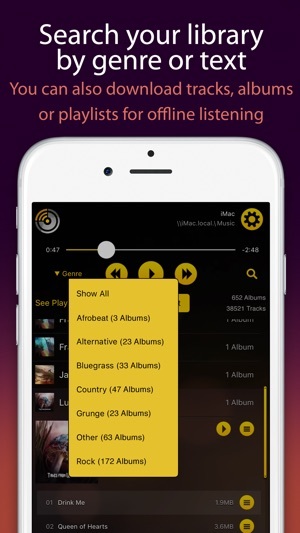 The app doesn’t leverage the iTunes library. Rather, it scans a particular PC path for music files and allows you to stream them. 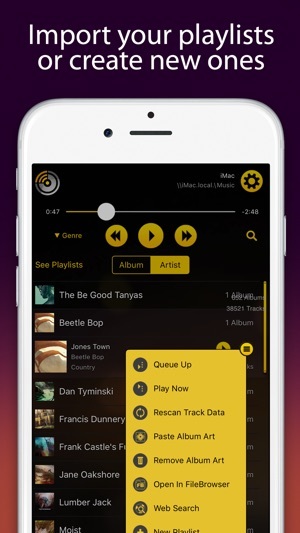 I have had problems that, when I try to play a playlist, the app mysteriously stops between songs. That’s a bit irritating. So, overall, while it does what’s advertised, it seems a bit clunky. I wish iTunes allowed you to play to Chromecast, but this is an acceptable workaround. 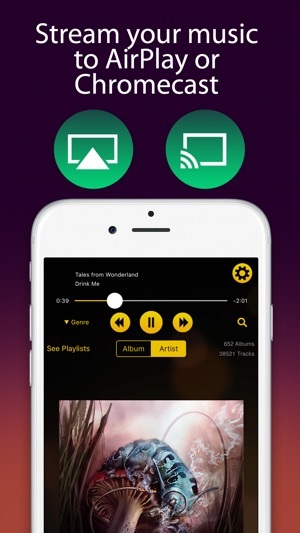 MusicStreamer is able to stream to both Chromecast Audio devices and Apple AirPlay devices. 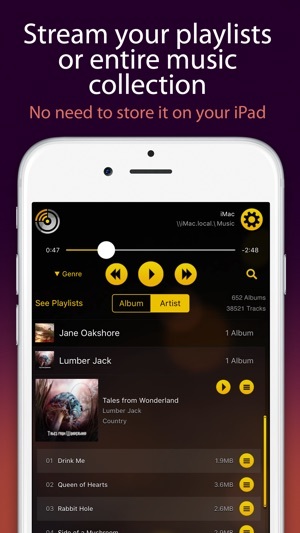 It isn't just limited to local playback on iPhone/iPad. Please email support@stratospherix.com if you need help getting this to work. Updating My Review again... 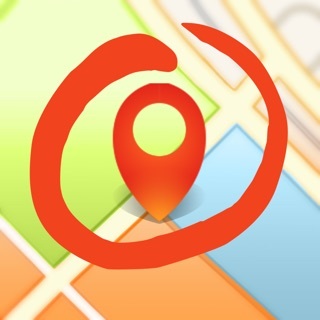 Excellent App... Period! 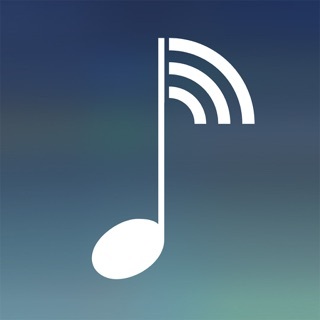 This is a great app for streaming music. I have not found anything close for streaming from a NAS especially if you want to stream high bitrate/bitdepth files to an external USB DAC. As of the latest update the devs have recently addressed all of my gripes. 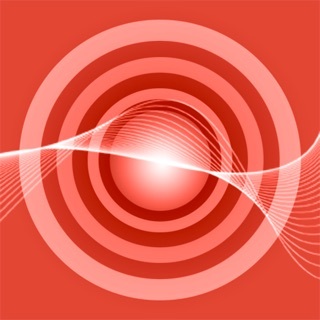 I can now say that this is a solid five star app. Great job! 1. They fixed the issue with high resolution Flac files not being sent to an external DAC in the correct format. The app used to downsampling these, now works great. Thanks! 2. Fixed my tiny UI quibble... the UI has now been updated to scale nicely on a large iPad Pro. Thanks! 3. Fixed Flac bit rate issue. Thank you! 1. Apple TV app. Would love something similar for Apple TV. It would be great to have access to SMB music files with the similar experience on home theater. Obviously wouldn’t get the same external DAC support but would still be nice. I’d even pay more for a premium.